Here’s a happy little card that is sure to make the recipient smile! This cute jack-o-lantern has the sweetest grin that just says “Happy Halloween”!! 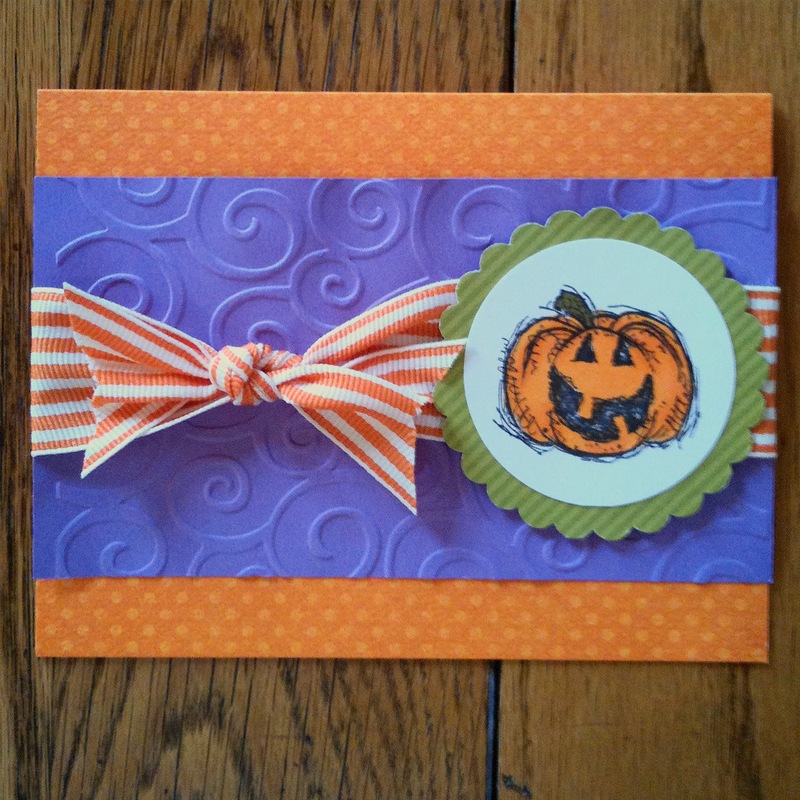 The jack-o-lantern, from an older set called Autumn Harvest by Stampin’ Up, is stamped on white card stock with black ink. I colored the image with markers, punched it out with a circle punch, and layered it to a scalloped circle punched from green patterned paper. 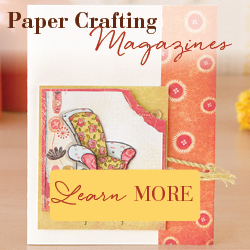 Using the swirl embossing folder from Cuttlebug, I embossed a panel of purple card stock, tied orange striped ribbon around the panel, and attached it to an orange polka dot card. The stamped image is then attached with pop dots over the ribbon.